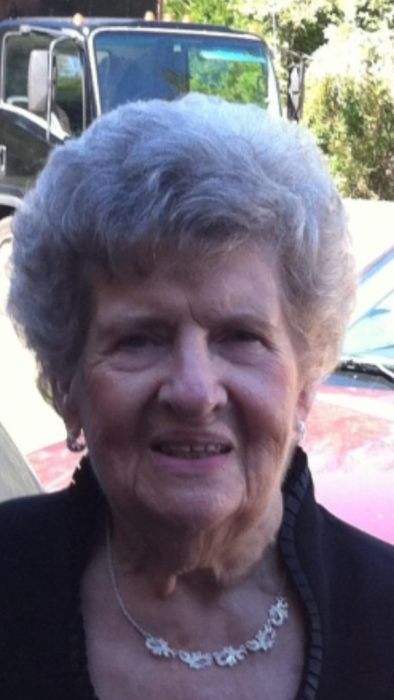 Evelyn G. Davis Herron, 87, of Columbus, GA passed away peacefully on Tuesday, April 10, 2018 in the comfort of her home. A celebration of life funeral service will be held at 12:30 pm EDT on Friday, April 13, 2018 at Vance Brooks Funeral home in Phenix City with Rev. Boyd Cochran, Rev. Sherry Wade, and Rev. Tim Cole officiating. Interment will follow at Ft. Mitchell National Cemetery. The family will receive friends Thursday evening from 6:00 to 8:00 pm EDT at the funeral home. Mrs. Herron was born August 16, 1930 in Cordova, AL to the late Goldman Davis and Eleanor Uptain Davis. She was a loving wife, mother, grandmother, and sister who was deeply devoted to her family. She enjoyed her home chores and took great pride in keeping everything clean. She loved cooking, church, her weekly visits to the beauty shop, and spending quality time with all her grandchildren, great grandchildren, and great great grandchildren. She was a member of Fellowship Assembly of God Church. Other than her parents, she was preceded in death by her husband of 59 years, Rev. Bobby G. Herron, and a brother, Ronald Davis. She is survived by her children, Greg Herron and wife Ruby of Hollow Rock, TN, Barry Herron and wife Mary of Birmingham, AL, Jeff Herron and wife Gwen of Columbus, GA, and Phyllis Herron Cochran and husband Rev. Boyd Cochran of Phenix City, AL; two brothers, Edward Davis of Cordova, AL, and Roger Davis of Birmingham, AL, sister-in-law, Vera Davis, (14) grandchildren, (16) great grandchildren, (2) great great grandchildren, a host of nieces, nephews, extended family, church family, and many friends. In lieu of flowers, family request donations to your favorite charity or to Columbus Hospice.